Americanization? Japanization? How about Internationalization! By guest columnist C.B. Cebulski of Fanboy Entertainment, Inc.
"I know what I want to say, but I'm not sure exactly how to say it." Do you ever have that problem? That's the dilemma I find myself in now. There's this point I really want to make, but there are so many ways to try and make it that I'm not sure what the most effective way of getting across what I want to say is. Some writer, eh? I spent the last month in Japan. And for the first time in a long time, this was not about business; it was a much-needed vacation. I relaxed, watched TV, went to the movies, ate a lot of MOS burger and read A LOT of manga. However, one of the things I noticed after my first few days over there was that my attitude about manga had changed. The way I looked at manga was completely different. For the first time in years, I was reading manga for the pure enjoyment of it! And it was fun! Wilderness by Akihiro Ito - An action-packed, wild ride of a manga from the mind that brought us Geobreeders! King of Bandit Jing by Yuichi Kumakura - Of which I just got news that there is an anime series being made! MPD Psycho by Eiji Otsuka and Sho Tajima - The most wonderfully intelligent (but twisted) manga I have read in years! FLCL by Gainax and Hajime Ueda - One of the best produced graphic novels I have seen in a long time! Bunkasai Ura Jikoinkai by Tatsuya Egawa - Egawa also has two other historically based manga out, one about the Japanese/Russian War and the other a retelling of the classic Tale of Genji. His new series, 109, is getting started now too. Well, enough with the recommendations for now. There was actually a point to this editorial that I was trying to figure out when I started typing. Enjoyment aside, there was something else that I have noticed about manga in recent days, which became quite clear the more I read. The point is this: the influence of American comics and film on Japanese manga is becoming more and more widespread. It's true. Here in the States, manga and anime fans are up in arms, month after month, carrying on about "pseudo-manga" and "Ameri-manga". They are constantly going off about how artists here are bastardizing and ruining what they consider a purely Japanese art form. But they are not so quick to raise their voices in opposition when the Japanese artists start using American storytelling techniques and styles in their manga, are they? As the manga market in Japan continues to shrink, the futures of long-running series come into question. Japanese manga artists, who are used to illustrating thousands of pages over years to tell a single story, are finding they are not able to do so quite so easily anymore. Reader's attention spans are also getting shorter. They have to tell their stories faster. To this effect, some have looked to American comics for inspiration in some part. They have adopted the more jumpy, cut and paste style of panel layout and pacing. They are going for more big "Hollywood" action scenes in a minimal amount of space in order to keep the readers coming back. They are using text boxes to explain more of the story. Their "manga style" has changed as well. (But with so many different styles of manga out there anyway, I have always wondered what the hell "manga style" is in the first place. I hate generalizations!) Just as artists like Joe Madureira, Humberto Ramos, Adam Warren and Ed McGuiness have looked to Japan for influence and inspiration, the marks Todd McFarlane, Jim Lee, Travis Charest and, most notably, Mike Mignola, have left on the face of Japanese manga is unmistakable. There's one story I love to tell of an exchange that I witnessed just this past year at Wizard World in Chicago that illustrates this point quite nicely. Keron Grant is the new penciler of Iron Man for Marvel, and he was asked to redesign Iron Man's armor. When Keron met Kia Asamiya at Wizard World, he confessed to Kia that for inspiration for Iron Man's new armor, he looked at Kia's character from Steam Detectives, the Emperor of Steam. Kia just looked at Keron and rather matter-of-factly replied, 'That's cool! When I was designing the Emperor of Steam, I looked at Iron Man for my inspiration." And it's not just manga. Anime has been influenced by similar sources as well. The creators of The Big O freely admit that the series was meant as homage to The Batman Animated Series and that it was purposely animated and designed in a similar style. Without Toy Story and other American CG movies, we would not have had Blue Submarine No. 6, Cowboy Bebop or Blood. This is something the Japanese are not ashamed to admit but that American anime fans here are. While these purist fans are so quick to judge American creators who cite influence from anime and manga on their work, they should stop for a minute and try pointing the finger back at the Japanese who they are trying to defend in the first place. Criticizing one culture but not the other is simply being ignorant and hypocritical. One thing these fans forget is that the artists who draw in a "manga or anime influenced" styles are just as big of fans of manga and anime as they are. They love the art forms. When they are not drawing, they spend most of their days reading manga, watching anime or playing video games. However, they have decided to take their love of the art form on step further and have chosen to make a living drawing in that style. From a creative standpoint, I personally feel that this exchange of artistic influence and inspiration is a positive development. It is not "The Americans swiping from the Japanese" or the "Japanese ripping off the Americans". It is a mutual admiration of and respect for the other culture's art forms. It is this admiration and influence of new ideas and concepts that will arouse creative stimulus on both sides of the world. The exchange is slowly having an impact on the way art is looked at overall. It is internationalization, if you will. I truly believe artistic cultures around the world will grow and become all the more diverse because of this. C.B. 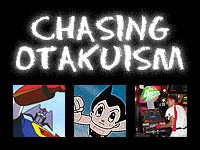 Cebulski is one of the masterminds behind the manga product arm of Fanboy Entertainment Online (http://www.fanboyinc.com/).